Hello everyone! 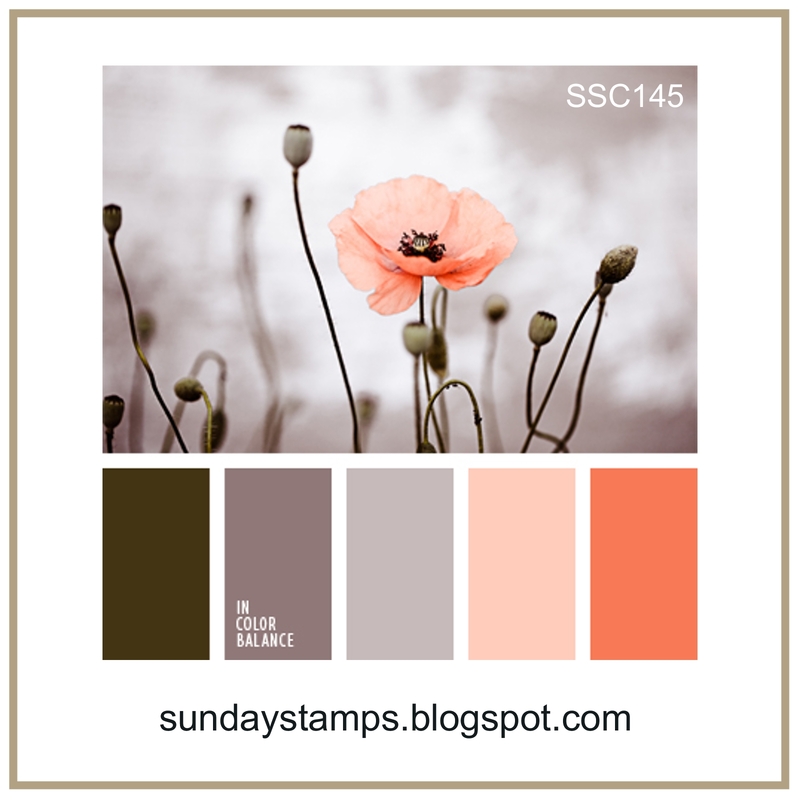 When I saw the inspiration image over at the Sunday Stamps Challenge this week, I really wanted to participate as I love the color palette. Since I am in full on Valentine mode right now, I wanted to try to incorporate these colors into a masculine card. It seems like all guys like orange, my husband included. When I met him, he actually had an orange corvette but that was more than 30 years ago. For my card, I started with a card base made from Smokey Shadow Cardstock. For the striped paper, I used a sheet from the My Mind's Eye Fancy That Paper Collection. This collection is no longer available at Simon Says Stamp but I happened to find 3 of the 6 x 6 Pads when I was in Dallas at Christmas. I really wanted a more orange color on the one stripe, so I ink blended with Berry Sorbet and Melon Berry Inks to make it more orange. I masked off the other stripes with Post-It Tape so I wouldn't accidentally get the ink on the greys which probably would have made them look brown and muddy. While that dried, I did ink blending on a piece of Canson XL Watercolor Paper with the same inks, spritzed it with Iridescent Gold Glimmer Mist and set it aside to dry for a few minutes as well. Since my designer paper has gold foil on it, I chose that as my neutral and cut a heart from Gold Foiled Cardstock using Little B Hearts Cutting Dies. One of the hearts is the cutting die and the other puts the cross stitched edge on the heart. Then I cut the smaller heart to go on top of the gold heart. The Sentiment is the Big Basics: Love You Die from Papertrey Ink and I cut it from Smoky Shadow Cardstock. The bitty heart is from the Simon Says Stamp Mini Hearts Die and I always seem to have a few of these laying around. This is a very Clean and Simple (CAS) card with bold graphics - just the way my hubby likes them. 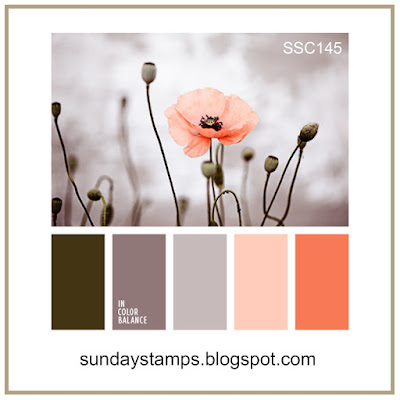 Be sure to stop over at the Sunday Stamps Challenge Blog to see all the entries and the Design Team's Inspiration. You did an awesome job making a masculine Valentine's day card. super classy. The touches of gold are so pretty! And your die cut sentiment is awesome. Thanks for joining us at Sunday Stamps, hope to see you again soon! Wow! What a stunner Vicki! That gold is so pretty, but yet definitely has a masculine feel to it!